CCDSoft, CCDOPS, DitherMatic was used to dither the luminance layer, Sigma Clip (pre beta 11), Paint Shop Pro, Photoshop CS w/ the Fits Liberator plug-in, GradientXTerminator and Noel Carboni's actions. Discovered by William Herschel in 1784. 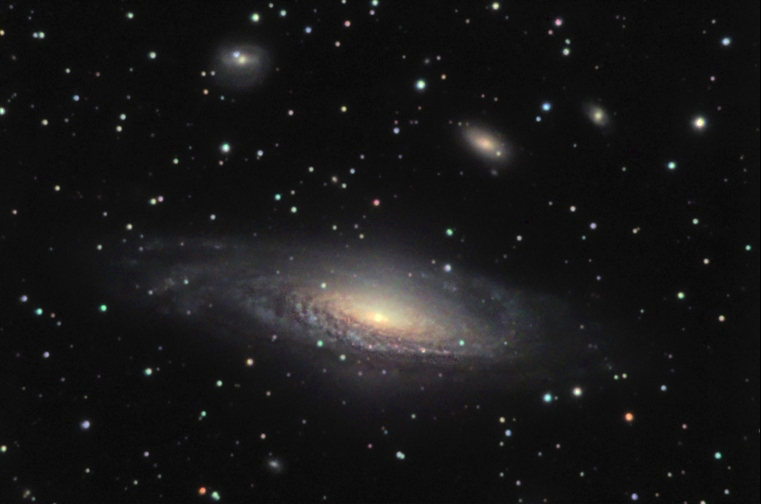 NGC 7331 is often touted as a twin to our own Milky Way. About 50 million light-years distant in the northern constellation Pegasus, NGC 7331 was recognized early on as a spiral nebula and is actually one of the brighter galaxies not included in Charles Messier's famous 18th century catalog.